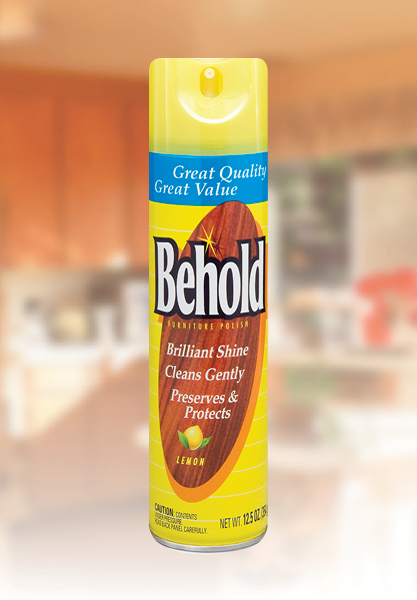 Behold’s furniture polish is specially designed with wood furniture in mind. Its time-tested formula protects your furniture from water spills, wear and stains, leaving behind a brilliant shine and a fresh lemon scent. Use regularly to clean away dust, fingerprints and smudges.